The skincare industry is constantly bombarding you with new products that will have your skin looking better than ever. The truth, though, is that many of these products are actually harmful and wash away necessary oils that are vital to your body’s natural functions. To ensure you are treating your skin the best way possible, it’s imperative to start with a good routine in the shower. 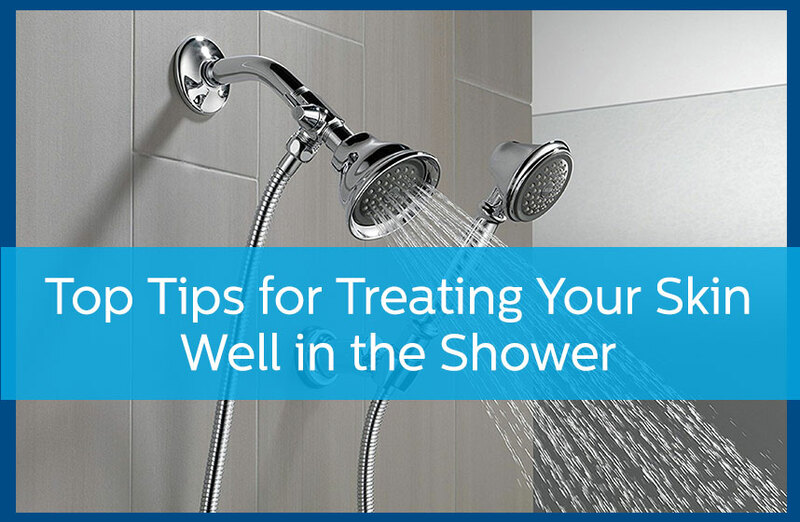 Let’s explore three top tips for treating your skin well in the shower or bath. It’s a common misconception that if you keep your skin sterile, it will age better. However, your body is covered with essential microorganisms that keep your skin healthy. These microorganisms even help your body fight off breakouts, acne, and infections. This is why you should stick with organic soaps and facial cleansers. These products are made with natural oils that gently clean your skin and don’t wash away helpful microorganisms. Even though you probably don’t realize it, there are harmful chemicals often found in the water you bathe in. From fluoride to pesticides to nitrates, all of these substances are harmful to your skin. Thankfully, though, you can avoid bathing in them by purifying the water with a shower head that filters them out. One of the best ways to remove toxins and unclog your pores is to dry brush immediately after you finish showering. When shopping for a dry brush, make sure to choose one with natural bristles as well as a durable strap. You can use the brush to dry brush your entire body from your face to your toes. There’s nothing quite as relaxing as taking an extra hot shower, but there’s reason to be wary of hot water. Hot water strips the skin of its natural oils, which lead to dry, itchy skin, or more serious conditions such as eczema. Along with your body’s natural oils, hot water also strips your hair of its natural oils as well, causing it to become dry and brittle. So what is the best water temperature for taking a shower? Ideally, you will want to keep it below 110 degrees. The cooler, the better. Taking care of your skin starts when you’re in the shower. The next time you go shopping for skin care products, consider ones with organic ingredients, and don’t forget to invest in a shower head that purifies the water. For more information on how to keep your skin and scalp healthy, contact Avail Dermatology at 770-251-5111 or schedule an appointment with us today.